Hope everyone had a very good christmas. Hope 2009 has better weather. Cheers to you, too - and him! Happy New Year Lynwoodview ! I hope we have better weather too. Last summer was awful. LOL excellent! well done, happy new year to you too. Happy New Year, all the best in 2009. 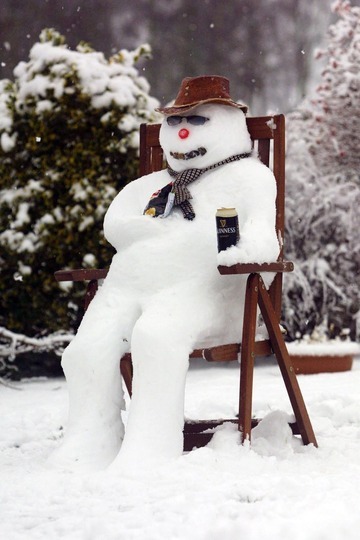 One way to keep the Guinness cold, I vote him Snowman of the year, mind you I may be accused of being bias as one of my favourite tipples is a Guinness.